Empty stadiums are a huge deal to the NFL. Yes, most of the money comes from TV contracts, but when fans aren’t at games it has a detrimental impact on the product. It sends the message that people don’t want to have anything to do with them in person. 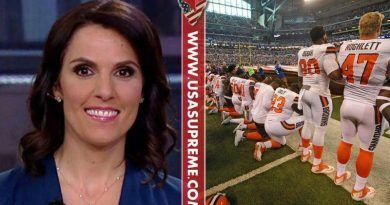 But what one player did during the National Anthem shows there is a hope after all! 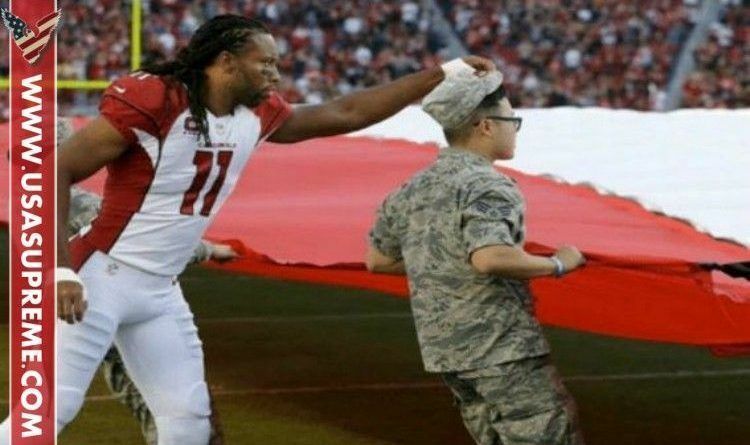 33-year-old NFL player Larry Fitzgerald was on the sidelines viewing the flag ceremony when he saw an Airman’s hat fall off. The Airman could not let go of the flag to put his hat back on, so Fitzgerald decided to step up and help. 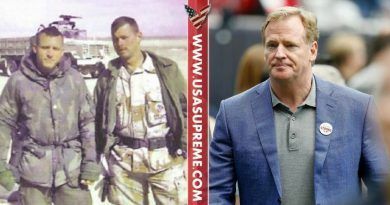 He showed respect for the flag and for the soldier when he ran onto the field to put the hat back on the head of the soldier. Great to see Fitzgerald and others still have heart and respect for others. This is what we need- positive role models, not diva players dividing the people. 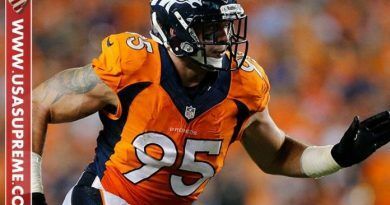 Fitzgerald is what all of the NFL should look to! Generous, kind and admirable. Other players need to learn from this man and his amazing honor he showed when placing the hat back on the soldiers head. He is a man! What do you think? Scroll down to comment below and share this article if you appreciate Fitzgerald’s gesture! Still ! Americans are beautiful !